Find all the round tube bench seating products you need for your changing room facility here at 3d Lockers. 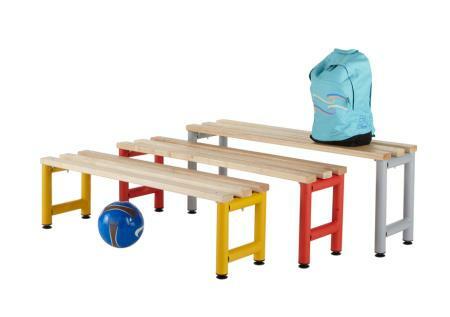 Ideal for schools, gyms, cloakrooms and more. 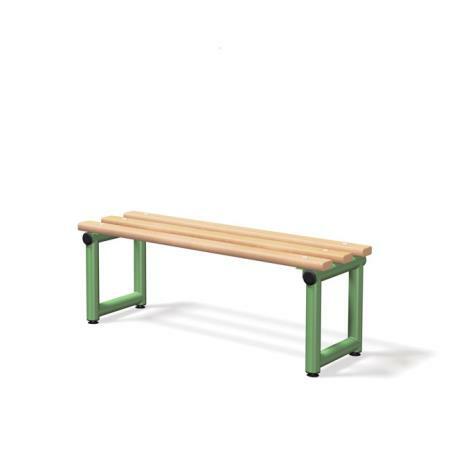 Featuring 50 mm round tube framework with fully welded joints, our bench seating is suitable for all dry area applications. Another feature of the framework is it's availabilty in a range of five colour options. Also there are different lengths to suit your available space. From single sided bench seats which are 305 mm deep to bench seats with double sides which are 720 mm deep, you can choose from either ash wooden slats or food grade black polymer slats. 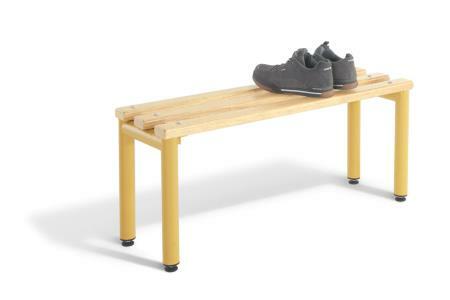 Whilst choosing bench seating products you may also want to consider whether you require just a bench seat or whether you want to tidy away shoes at the same time. That's why we offer optional bench shoe baskets which fit neatly underneath the seat.